We’d love your help. Let us know what’s wrong with this preview of The Remedy by Thomas Goetz. In 1875, tuberculosis was the deadliest disease in the world, accountable for a third of all deaths. A diagnosis of TB—often called consumption—was a death sentence. Then, in a triumph of medical science, a German doc The riveting history of tuberculosis, the world’s most lethal disease, the two men whose lives it tragically intertwined, and the birth of medical science. In 1875, tuberculosis was the deadliest disease in the world, accountable for a third of all deaths. A diagnosis of TB—often called consumption—was a death sentence. Then, in a triumph of medical science, a German doctor named Robert Koch deployed an unprecedented scientific rigor to discover the bacteria that caused TB. Koch soon embarked on a remedy—a remedy that would be his undoing. When Koch announced his cure for consumption, Arthur Conan Doyle, then a small-town doctor in England and sometime writer, went to Berlin to cover the event. Touring the ward of reportedly cured patients, he was horrified. Koch’s "remedy" was either sloppy science or outright fraud. But to a world desperate for relief, Koch’s remedy wasn’t so easily dismissed. As Europe’s consumptives descended upon Berlin, Koch urgently tried to prove his case. Conan Doyle, meanwhile, returned to England determined to abandon medicine in favor of writing. In particular, he turned to a character inspired by the very scientific methods that Koch had formulated: Sherlock Holmes. To ask other readers questions about The Remedy, please sign up. When I read the premise of this book, I was intrigued. What could Sir Arthur Conan Doyle have to do with Robert Koch's efforts to cure Tuberculosis? Not a lot, as it turns out. The effort of the author to hang the story on the current popularity of Sherlock Holmes turns this otherwise interesting and well-sourced book into a cheap bait-and-switch. The Remedy starts off with a very promising first half. The history of Germ Theory was fascinating, and it was very edifying to read about the effect When I read the premise of this book, I was intrigued. What could Sir Arthur Conan Doyle have to do with Robert Koch's efforts to cure Tuberculosis? Not a lot, as it turns out. The effort of the author to hang the story on the current popularity of Sherlock Holmes turns this otherwise interesting and well-sourced book into a cheap bait-and-switch. The Remedy starts off with a very promising first half. The history of Germ Theory was fascinating, and it was very edifying to read about the effect that Tuberculosis and other infectious diseases had on the general population in the mid to late 1800s. It was also eye-opening to see just how much we take for granted in modern times, like the idea that a doctor should wash his hands before surgery. This interesting book is hijacked into a biography of Sir Arthur Conan Doyle. While his life is indeed worth reading about, his story seems truncated in order to fit. When I realized exactly how little Doyle's involvement amounted to in comparison to the time spent on him, I felt very ripped off. I wondered why so many interesting subjects were reduced to short asides in the first half of the book, only to make room for a part of the story that didn't really matter. I understand the desire in non-fiction to shape history into a narrative, but the battles of Germ Theory vs Miasma Theory or the vicious public throw-down between Luis Pasteur and Robert Koch had conflict and story in spades. Pinning the crux of the book on Doyle's investigation of Koch was beyond anticlimactic. They never met, Doyle didn't even get in to the demonstration he was to write about, and his paper on Koch's quackery didn't even come off as that important. The sea change in public opinion about Koch seemed like more of an accumulation of the many negative writings in the wake of his 'cure' being completely ineffectual. There were also some asides that made me feel like the author was stretching the Doyle portion pretty thin, like the page listing a bunch of slang terms for different kinds of criminals of the age. The history of medicine is a fascinating one and of very ancient origin. The quest to fully understand the human body and disease has been a long journey where the work of many brilliant minds devoted to science continue searching for answers in order to offer the possibility of a cure and mitigate the suffering. If we go back as far as ancient Greek medicine, we would find theories that played a fundamental role in health care such as "humorism" (in which the four humors, phlegm, blood, black bile and yellow bile needed to be in balance in order to be in good health), or the theory of "miasma" (the idea that diseases originated from "bad air"). Surprisingly, these ideas persisted for over two millennia up to the 19th century, until the "Germ theory" of disease came to offer a new answer that linked microorganisms as the causative agents of many diseases. In "The Remedy", the author Thomas Goetz offers us a wonderful narrative about the history of one of the greatest battles in science, the battle between chemistry and medicine, between France and Germany, the rivalry between Louis Pasteur and Robert Koch on one of the oldest and greatest killers of all time: Mycobacterium tuberculosis. An illness that in the early 19th century accounted for up to 20 percent of all deaths. Both scientists made amazing contributions, many which are still useful today in labs or in clinical practice also, but in their quest to find treatments or vaccines to prevent illness their rivalry just continued to grow and in this book (which is almost impossible to put down), you will find such an amazing and thrilling story on this golden age of bacteriology. Inspired by Charles Darwin's life full of romance and adventure, Robert Koch studied medicine at Göttingen University where he would meet George Meissner, an innovator in animal experiments, and Friedrich Henle, a pioneer in microbiology "The contagion is not itself the disease, but the inducer of the disease"; both scientist obviously became a great influence to Koch's work. This meticulous and somehow introvert scientist made wonderful contributions such as a writing on the "etiology of wound infections" as well as establishing the famous Koch's postulates (criteria used to establish an infectious agent to a disease but not quite effective today anymore as it does not apply to infectious agents like a virus or prions) that helped him identify and isolate the microorganisms of bacteria induced illnesses like anthrax and cholera. He also established quinine as the prophylactic treatment of malaria which is still used today. Another innovation was the use of microphotography and the "white lab mouse" among many other useful techniques used today at a lab. But, in between of so many amazing discoveries, Tuberculosis became Koch's nemesis. In the struggle and competition against Pasteur to become the first one to develop a cure for TB, his "remedy" became his biggest blunder. Robert Koch had that peculiar personality and qualities of a good researcher and has my admiration since I first became familiar with this story at another magnificent book titled "Microbe Hunters". Still Goetz offers a more extended and detailed side of the story, highly entertaining and very pleasant to read. "If it is terrifying that life may be at the mercy of the multiplication of those infinitesimally small creatures, it is also consoling to hope that Science will not always remain powerless before such enemies... I am not a surgeon but I'm here to suggest to only make use of bandages and sponges which had previously been raised to a heat of 130 - 150 C if you want your patients to improve by avoiding infections"
Arthur Conan Doyle, who probably does not need introduction among you, was also an admired of the Germ Theory and idolized Robert Koch's work, he identified with him. Like his most beloved and famous fictional character, he became the "Sherlock Holmes" behind Koch's "remedy" uncovering the truth behind this treatment. Tuberculin did not cure TB, but Koch's blunder was really mistaking a reaction for a remedy. "What Koch accomplished in lab, Conan Doyle in literature. What Koch proved to science, Doyle to Society" Did Conan Doyle or Louis Pasteur became the Professor Moriarty in the real life of Robert Koch? Today Tuberculin has a different application, NOT as a treatment but as a diagnostic tool. PPD is a useful skin test that helps identify a TB infection. In this book, you will not only read a fantastic narrative on the rivalry between Louis Pasteur and Robert Koch but you will also be introduced to many other scientific accomplishments by Paul Ehrlich, John Snow, Julius Richard Petri, Edward Jenner, Emile Roux, Georg Gaffky, Friedrich Loeffle, Kitasato Shibasaburo and Joseph Lister as well as the birth of new fields of science such Immunology. Today TB is still one of the most common infectious diseases worldwide according to the CDC. Also, the in latest report of WHO, TB remain a major health problem stating: "It is second only to HIV/AIDS as the greatest killer worldwide due to a single infectious agent and the leading killer of patients with HIV.In 2012, there were an estimated 8.6 million incident cases of TB AND 1.3 million died from the disease". What makes a new discovery so amazing is not only the satisfaction of finding the ultimate answer, the real etiology behind a specific disease, but also the challenge that comes next. Prevention, vaccines, treatments and patient education are all part of a team from scientists to nurses and doctors taking action in offering humanity a better quality of life. It is true, TB and other infectious diseases continue to represent a challenge worldwide but it is thanks to the work of many superb scientists like Louis Pasteur and Robert Koch that many other fatal diseases are now preventable or controlled. The reason I deeply enjoy this type of reading is simply because it reminds us where are we standing today and how far we have become regarding health care. Still, science has a long way to go and has much more to offer humankind. I highly recommended "The Remedy" to any healthcare worker or any one of you who simply loves the history of medicine and the main characters who played a fundamental role in the quest to solve the riddle of one of the deadliest diseases of all time: Tuberculosis. ARC edition as part of GRs First Reads Giveaway. I had written an absolutely **STELLAR** review a few days back, and my *@#%$%&& laptop decided to crash during the final wrap-up paragraph. I wanted to cry. Needless to say, all my brilliant thoughts, observations and analysis of this book have vanished, never to return. Instead, I will just say that I enjoyed author Thomas Goetz book and all the information relating to Dr. Koch and his medical research and supposed "remedy" for TB. For the ARC edition as part of GRs First Reads Giveaway. Needless to say, all my brilliant thoughts, observations and analysis of this book have vanished, never to return. Instead, I will just say that I enjoyed author Thomas Goetz book and all the information relating to Dr. Koch and his medical research and supposed "remedy" for TB. For the layman reader, the writing was clear and concise and not dry at all. I learned some very cool trivia about 19th century medicine and was generally pleased with the overall tone of the book. My only quibble (and the reason why I rated this 3 stars) was due to the fact that I felt Goetz' inclusion of Sir Arthur Conan Doyle into the narrative was a stretch, and didn't work with the rest on the story. Yes, I did see the connection between Doyle and Koch, but it was extremely thin IMO. I would have personally preferred just a book focusing on Koch and his rise to fame and the fall that came afterwards. But that's me - perhaps others will enjoy the two intertwined stories. Recommended for readers of medical non-fiction. In the nineteenth century twenty-two out of every thousand people died each year, more than 2% of the population– today only 5 out of a thousand people die each year. In the nineteenth century the average lifespan was thirty-six years – today it’s about eighty. 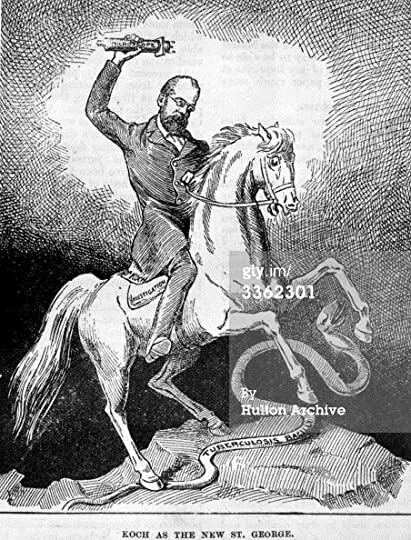 The biggest killer in the nineteenth century? Tuberculosis. Also known as consumption, this disease was rampant, believed to be hereditary, and in spite of numerous claims of ways to cure the disease, no cure or effective treatment was av In the nineteenth century twenty-two out of every thousand people died each year, more than 2% of the population– today only 5 out of a thousand people die each year. In the nineteenth century the average lifespan was thirty-six years – today it’s about eighty. The biggest killer in the nineteenth century? Tuberculosis. Also known as consumption, this disease was rampant, believed to be hereditary, and in spite of numerous claims of ways to cure the disease, no cure or effective treatment was available. Trigger warnings: nineteenth century medical treatments, really graphic descriptions of tuberculosis and what it does to you. Not for the squeamish. Y'all probably know by now that I'm TRASH for medical history books. So obviously I bought this when I came across it, especially seeing as I'd never read anything about tuberculosis before. And for the most part, this was pretty fascinating. Koch's story was intriguing, the treatments for tuberculosis in the nineteenth century were HORRIFYING ("lem Trigger warnings: nineteenth century medical treatments, really graphic descriptions of tuberculosis and what it does to you. Not for the squeamish. And for the most part, this was pretty fascinating. Koch's story was intriguing, the treatments for tuberculosis in the nineteenth century were HORRIFYING ("lemme just stab you in the chest until your lung collapses, which will give it relief and allow it to recover. What do you mean you can't breathe?! "), and while the Conan Doyle stuff felt sliiiiiightly shoe-horned in, it was still fascinating to see how he balanced his medical and writing careers. A fascinating scientific history about the development of germ theory and the remarkable researcher who discovered the tuberculosis bacteria (and, perhaps more importantly, laid down many basic rules for good research that are still used today). His story is both remarkable and tragic, and so is the history of medicine is. This book is set at a time of great scientific progress, but also at a time when scientists were becoming more aware of just how much we don't understand, and Koch was a brill A fascinating scientific history about the development of germ theory and the remarkable researcher who discovered the tuberculosis bacteria (and, perhaps more importantly, laid down many basic rules for good research that are still used today). His story is both remarkable and tragic, and so is the history of medicine is. This book is set at a time of great scientific progress, but also at a time when scientists were becoming more aware of just how much we don't understand, and Koch was a brilliant man who found himself in the unenviable position of having made a great discovery but having no way to actually help people. As a result, he strayed from hard science in his increasingly desperate search for a way to kill the disease he had isolated. While the story is incredible, I found the writing itself a bit on the dry side. I feel like the link between Koch and Conan Doyle was a bit tenuous: certainly, Conan Doyle was a science enthusiast who followed Koch's work avidly and critiqued it in his writings, but that's about it. I feel like he was included in the narrative more because his name is so famous than because he played any major role in the controversy over Koch's work. This being said, I still recommend the book to anyone interested in the history of science in the later 1800s. Let’s just start with the bait-and-switch, and get that out of the way: Dr. Arthur Conan Doyle had NOTHING to do with Dr. Robert Koch’s research into the causes and potential cures for tuberculosis. They had one point of commonality, in November of 1890, when Doyle traveled from Southsea, England to Berlin to try to attend Koch’s demonstration of a “cure” for consumption. As it turned out, the two men never even met – Dr. Doyle was turned away from Dr. Koch’s house because the doctor was too bus Let’s just start with the bait-and-switch, and get that out of the way: Dr. Arthur Conan Doyle had NOTHING to do with Dr. Robert Koch’s research into the causes and potential cures for tuberculosis. They had one point of commonality, in November of 1890, when Doyle traveled from Southsea, England to Berlin to try to attend Koch’s demonstration of a “cure” for consumption. As it turned out, the two men never even met – Dr. Doyle was turned away from Dr. Koch’s house because the doctor was too busy to meet with a stranger from England, and Doyle was not even able to get a ticket into the presentation. Doyle went back home and wrote up an account of Koch’s presumed discovery based on information passed on to him by one of the attendees who took pity on Doyle and passed on his notes. Well-written and very readable. This amounts to very interesting biographies of two men: Robert Koch, one of the architects of germ theory. And Arthur Conan Doyle, an MD who wrote the pioneering works featuring Sherlock Holmes. The material in the book was all very interesting. There were some great parallels between Koch and Conan Doyle, especially in their respect for rational logic and intense scrutiny of detail and adherence to rigorous process. The part where this book doesn't work was that Well-written and very readable. This amounts to very interesting biographies of two men: Robert Koch, one of the architects of germ theory. And Arthur Conan Doyle, an MD who wrote the pioneering works featuring Sherlock Holmes. The part where this book doesn't work was that the tie-ins between the Koch and Conan Doyle were rather tangential and at times ludicrously paper thin. They never actually met, the writer tries to use the whole tuberculosis thing to somehow tie Robert Koch and Conan Doyle together, but it is just too dang flimsy to work. The Remedy is a thoroughly fascinating and satisfying portrait of a transformative moment in intellectual history. Goetz traces the hazardous paths of those who championed the germ theory of disease and follows their habits of thought to the work of Arthur Conan Doyle. This is not to be missed by those with an interest in the history of science, detection, and/or modernity. To quote Goetz, "Conan Doyle took what medical scientists a generation older than he - Joseph Bell, Lord Lister, and Robert The Remedy is a thoroughly fascinating and satisfying portrait of a transformative moment in intellectual history. Goetz traces the hazardous paths of those who championed the germ theory of disease and follows their habits of thought to the work of Arthur Conan Doyle. This is not to be missed by those with an interest in the history of science, detection, and/or modernity. To quote Goetz, "Conan Doyle took what medical scientists a generation older than he - Joseph Bell, Lord Lister, and Robert Koch - had accomplished and mythologized their methods, turning their innovations into popular entertainment based on the singular principle that little observations can build into larger conclusions. Through Holmes, Conan Doyle helped people see how from a thousand small observations can come a profound and lasting change." I adore books that find a thread of history and manage to pull many different seams together into a coherent narrative. Even better if it can captivate my attention and keep me reading when I'm in material I wouldn't normally be drawn to. This is why I love this book - it found a story that helped me understand and appreciate the role of science in our world. I can't wait for the movie!!! When I was in school I always hated the way science class began each year with yet another rehashing of "the scientific method." Could anything be more dull than hearing once again of hypotheses and theorems, of peer review and survey of the literature? I have now come to believe that the scientific method was the most important thing I ever learned in school. In an age where one group of people who believes that everything said in the Bible is literally true faces off against another group who When I was in school I always hated the way science class began each year with yet another rehashing of "the scientific method." Could anything be more dull than hearing once again of hypotheses and theorems, of peer review and survey of the literature? I have now come to believe that the scientific method was the most important thing I ever learned in school. In an age where one group of people who believes that everything said in the Bible is literally true faces off against another group who claim to be "scientific" because they believe what "scientists" say (whoever those scientist are) we are in need of greater understanding of the scientific method and the search for truth. Robert Koch was a champion and developer of germ theory in an age that still believed in the "four humours" and that disease was result of hereditary frailness meeting up with tainted air. Though just a country doctor and not a trained chemist like his eventual rival, Louis Pasteur, Koch worked to discover the bacteria responsible for tuberculosis. Along the way he made many technical improvements in laboratory technique, including adapting photography for microscopic investigation. At this time, tuberculosis caused the death of one in four people in Europe. Koch was hailed as a genius and the pressure was on him to come up with a cure. And here is where he met his downfall. Having been so meticulous in his discovery of the microbe, Koch turned his back on the scientific method when he tried to deliver the remedy. He concocted a serum called "tuberculin" that he rushed to provide to the eager public, without proper trials. Indeed, tuberculin was a secret formula, and no one but Koch could provide it, or profit from it. Another obscure physician, Arthur Conan Doyle, became intrigued by the new germ theory and the brilliant Dr. Koch. He raced to Berlin to attempt to hear Koch speak on the new cure, and was quickly disappointed. Conan Doyle wrote about the fraud that was being perpetrated on the public. He also started writing works of fiction during his spare time as his medical practice was not very successful. His fictional character, Sherlock Holmes, would be the rational, scientific mind for a new era. In "The Remedy" you will find out the shocking tale of a tiny slice of medical history that has been tucked away in the vast volumes of bygone times. When I first found out about Thomas Goetz's book, I immediately became intrigued with the fact that the beloved Arthur Conan Doyle (author of the world's favorite detective stories!) somehow involved himself in the cure for such a tremendous disease as Tuberculosis. And how did he do it? In the 19th century, consumption (or TB) took 25% of all deaths In "The Remedy" you will find out the shocking tale of a tiny slice of medical history that has been tucked away in the vast volumes of bygone times. In the 19th century, consumption (or TB) took 25% of all deaths in America and England. For someone to locate a medicine for it would be life-changing for hundreds of thousands. Goetz is a master on the subjects he brings out in the book. He has put together many facts about science and medicine, and draws the parallels of history well. So as not to build your hopes too high before reading "The Remedy"... Conan Doyle does not come up with the astounding elixir for an incurable disease himself. But I think he helped bring details to the public eye that others hadn't taken the time to notice. Cons: The one thing I disapprove of is the author's use of a couple words in the text. Usually I would deduct a star in my review for this type of foul language, but I still love the book so much because of the infinite information it offers. However, I do wish the text wasn't marred at all. 'Remedy' tells a medical detective story that involves Arthur Conan Doyle, author of the Sherlock Holmes mysteries, and a deeply flawed German genius named Dr. Robert Koch, and their involvement with the most deadly disease of the 19th century, tuberculosis. I started reading this book last night, and I finished it today. I could not put it down. The story is a mystery story. What was causing tuberculosis, which was killing 25 per cent of the population of Europe, America, Russia, and other na 'Remedy' tells a medical detective story that involves Arthur Conan Doyle, author of the Sherlock Holmes mysteries, and a deeply flawed German genius named Dr. Robert Koch, and their involvement with the most deadly disease of the 19th century, tuberculosis. I started reading this book last night, and I finished it today. I could not put it down. The story is a mystery story. 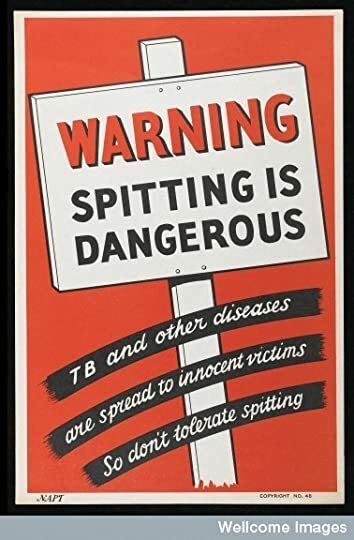 What was causing tuberculosis, which was killing 25 per cent of the population of Europe, America, Russia, and other nations around the world. Doctors of the day still thought all illness was caused by an imbalance of the humors of the body. Those few radicals, like Koch, were regarded as being deluded lightweights. Koch, a small-town doctor, had a simple laboratory where he was able to not only isolate the bacteria that caused the disease, he actually invented a way to photograph them. In November of 1890, Dr. Arthur Conan Doyle, another modest practitioner, traveled to Berlin to hear the now-famous Robert Koch speak on his new cure for tuberculosis. Doyle was unable to get into the hall where Dr. Robert Koch spoke, but he made friends with another physician who agreed to share his notes with Doyle. And the young British doctor wrote a dispatch to 'The Daily Telegraph' in London. While the editors titled the dispatch 'The Consumption Cure', Doyle's skepticism debunked Koch's ideas of a cure. And Doyle turned out to be right. The twists and turns of this story, the endless hunt for a cure for TB, and the humanity of all the men involved, including Louis Pasteur and many others, makes for an fascinating and true. The Remedy takes you through medical and literary history, right around the time the foundation was laid for modern medicine. Handwashing was controversial. Hospitals had open jars of ointment in the operating room, and surgeons would scoop out what they needed without washing their hands in between patients. This book made me thankful for germ theory. For basic hygiene. For vaccines! I couldn't wait to find out what happened next. I really got a feel for how relentless tuberculosis was, and how hopeless it seemed. Would the public be convinced of Koch's findings? Would other scientists be swayed? I found this book to be absolutely riveting, and that surprised me when I considered it's basically a non-fiction book about germs, medicine, and scientific research. But it reads in a narrative style, in layman's terms; so it was enjoyable throughout, and I didn't once feel bogged down. The Arthur Conan Doyle connection was a teensy bit looser than I had hoped it would be, but it was an interesting angle nonetheless. I was impressed by how cutting-edge Sherlock Holmes's forensic methods were for the time, and what a huge impact these novels had on the scientific community. Who would have thought a book about the search for a cure for Tuberculosis could be so exciting and so interesting. Sounded pretty dull to me at first, but reads like a mystery novel and held my interest. Then you have the scientists vying for prominence with their discoveries. You have those who believe in the germ theory and those who can't believe in something they can't see. Study takes years and years because scientists protect their findings as secrets. Enter A. Conan Doyle. He was a doct Who would have thought a book about the search for a cure for Tuberculosis could be so exciting and so interesting. Sounded pretty dull to me at first, but reads like a mystery novel and held my interest. Enter A. Conan Doyle. He was a doctor who eventually decided he didn't want to be one and turned to novels and detective stories. Doyle, of course, developed the iconic Sherlock Holmes. While Doyle wished he could kill off his creation, Holmes, in his wisdom, has outlived his creator. As a doctor, Doyle was determined to hear Robert Koch's lecture, but was turned away because of large crowds and had to "hear" it through notes shared by a fellow physician. The section about Doyle is most interesting as tuberculosis touches his family closer than he ever thought possible. This book also contains the keys to why research into man's worst diseases takes so long to come to cures and why we are still battling illnesses identified centuries ago. Goetz uses the narratives of two important men to convey how science emerged from miasma of the 19th century. The stories are interesting and the science is illuminating without being technical or heavy. Robert Koch's and Arthur Conan Doyle's stories both start as small town doctors, and both are transformed by science. Koch story tells how he basically invented the modern scientific method. Conan Doyle's character, Sherlock Holmes, popularized the the scientific method, and its benefits, to a t Goetz uses the narratives of two important men to convey how science emerged from miasma of the 19th century. The stories are interesting and the science is illuminating without being technical or heavy. Robert Koch's and Arthur Conan Doyle's stories both start as small town doctors, and both are transformed by science. Koch story tells how he basically invented the modern scientific method. Conan Doyle's character, Sherlock Holmes, popularized the the scientific method, and its benefits, to a the pop audience of his day. Each man's arc is compelling, from their humble beginnings, to great successes and beyond. I've known how science transformed the world at the end of the 19th century, but the stories in this book illuminate how science overcame the accepted conventions of previous centuries. The idea of infectious 'germs' is not novel today, but before Koch it was utterly radical and controversial. The book transformed my understanding of how the world changed from one without sewers, antiseptic, or germs into the modern world of purell, MRSA, and the microbiome. Really interesting book that tells an important historical tale through the life of two interesting and flawed men. I liked it. The author takes us on a most interesting, historical and informative journey into the 19th century. One horrid epidemic or another was a fact of life in the 1800’s killing millions. Consumption or Tuberculosis (TB) proved to be the deadliest disease in history. But this is the tale of ambition. It is one of discovery and a profound shift to scientific methods and inventions from the old practices of leeches and cod-liver oil. Dr. Robert Koch, a German country doctor would introduce I liked it. The author takes us on a most interesting, historical and informative journey into the 19th century. One horrid epidemic or another was a fact of life in the 1800’s killing millions. Consumption or Tuberculosis (TB) proved to be the deadliest disease in history. But this is the tale of ambition. It is one of discovery and a profound shift to scientific methods and inventions from the old practices of leeches and cod-liver oil. Dr. Robert Koch, a German country doctor would introduce the Germ Theory in which he claimed bacteria was the cause. You will recognize many famous names sprinkled throughout, one being the French chemist, Louis Pasteur. A fierce competition between these two produced medical results that may have otherwise been undiscovered. I smiled at the entrance of Dr. Conan Doyle the famous author of Sherlock Holmes. What Koch proved in the laboratory Dr. Doyle brought to the world through his literature, especially the scientific detective. At first I didn't know how I was going to take to it; it sounded interesting, but I was afraid of it being nothing but boring facts and a long history of science. It wasn't anything like that! It read more like a story. It was more like a biography! The way that Conan Doyle was introduced, and the way that the chapters bounce back and forth between him and Koch, was perfect. I never felt lost. It was very easy to follow along. I did pretty well in my high school scie I seriously loved this book! The way at Goetz explains the process that all of the scientist go through in their experiments made it very easy for me understand. Before reading this I didn't know anything about TB except that I have to be tested for it before being hired for certain jobs. I learned SO MUCH about TB and other illnesses from reading this. This is now one of my favorite books. I'm rounding up just a bit. This nonfiction book is an exciting account of what could be called the birth of modern medical science. It is also something of a morality tale, wherein a brilliant scientist (Robert Koch) establishes crucial scientific standards, and then, under external and internal pressures, fails to adhere to them, to his eventual (partial) downfall. I had known nothing about Robert Koch, and very little about Louis Pasteur. This book taught me a good deal about both. It left me I'm rounding up just a bit. I had known nothing about Robert Koch, and very little about Louis Pasteur. This book taught me a good deal about both. It left me with admiration for both men, and a blend of sympathy and pity for Koch, whose contributions to science have outlasted professional failure and disgrace. It was also entertaining to learn more about Arthur Conan Doyle, his role in the public scrutiny of Koch's claim to have cured tuberculosis, and his transition from doctor to author to creator of a cultural icon. The Remedy was superb. Goetz brings to light the achievements of 19th century scientists that were instrumental in modernizing medicine which at the time was seen as imprecise and oftentimes dangerous. Robert Koch, a man known to science mostly for his methodology postulates, was also one of the fathers of bacteriology alongside his nemesis, Louis Pasteur. Koch's triumphs and downfalls in relation to TB are brought to light right alongside the magnificent story of Arthur Conan Doyle and his jour The Remedy was superb. Goetz brings to light the achievements of 19th century scientists that were instrumental in modernizing medicine which at the time was seen as imprecise and oftentimes dangerous. Robert Koch, a man known to science mostly for his methodology postulates, was also one of the fathers of bacteriology alongside his nemesis, Louis Pasteur. Koch's triumphs and downfalls in relation to TB are brought to light right alongside the magnificent story of Arthur Conan Doyle and his journey from dissatisfied doctor to acclaimed author. While these stories seem to have no relation to one another, Goetz illustrates that these two scientifically minded men have more in common than meets the eye. For anyone looking to learn more about ACD's creation of that illustrious detective Sherlock Holmes or for those yearning to learn more about the deadly disease of Tuberculosis, this is the book for you! PS TB is still a major threat to humanity and kills large numbers of people every year. Part history, part mystery, the book chronicles the work of Robert Koch, a small town doctor who, through his discovery of the germ that causes tuberculosis, would find himself hailed as a hero. But then he would turn his attentions to finding a cure. Hubris would be his downfall. Arthur Conan Doyle didn't have a lot to do with Robert Koch, or his efforts to find a cure for tuberculosis. But that search did have a lot to do with Doyle becoming the writer that he became. A doctor, himself, Doyle w Part history, part mystery, the book chronicles the work of Robert Koch, a small town doctor who, through his discovery of the germ that causes tuberculosis, would find himself hailed as a hero. But then he would turn his attentions to finding a cure. Hubris would be his downfall. Arthur Conan Doyle didn't have a lot to do with Robert Koch, or his efforts to find a cure for tuberculosis. But that search did have a lot to do with Doyle becoming the writer that he became. A doctor, himself, Doyle would be heavily influenced by Koch's methodical procedure. He would give that same precise methodology to his creation, Sherlock Holmes. The book covers both men's lives and the fame that would come their way. How each man was affected by that fame, however transitory for one, and how they handled it, is just as interesting. As was the fight to prove the existence of bacteria to a disbelieving public. The irony that we're still fighting to "prove" what science has already proven, is hard to miss. 3.5 stars rounded up - This books had a slow start for me. Once we made it out of WW1, I was much more interested. It's such a great story - rivalries and science, rags to riches with ruined reputations and greatness. What more can you ask for? As I read it, tuberculosis played a smaller part in the story than I thought and more about the discoveries in science, germ theory, and the Doyle and Koch. The audiobook was well read and enjoyable. This book is an excellent history of two men and the events that surrounded them at the end of the 19th century. Not only does this deal with the creation of the Sherlock Holmes stories, but it also is an amazing history of medical science during one of its most hectic and interesting times. I Loved this book. Thomas Goetz eloquently weaves these two historic tales and gives us a vivid snapshot of a pivotal point in modern human history. The book also demonstrates how relevant this story (which takes place nearly 150 years ago) is in today's society and how media and science can combine to wreak havoc or harmony in the public psyche. 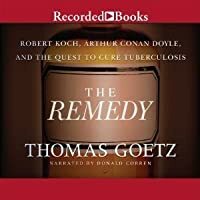 Thomas Goetz is the author of the new book, The Remedy: Robert Koch, Arthur Conan Doyle, & the Quest to Cure Tuberculosis. He is also co-founder of Iodine, a health technology company based in San Francisco. His previous book, The Decision Tree, was chosen by the Wall Street Journal as a Best Health book of 2010, and widely hailed as offering a new vision for healthcare in the United States. 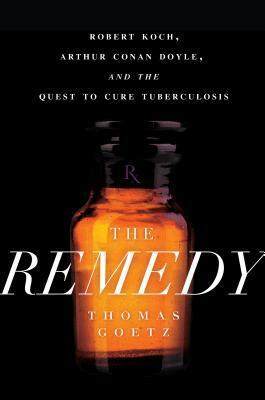 Th Thomas Goetz is the author of the new book, The Remedy: Robert Koch, Arthur Conan Doyle, & the Quest to Cure Tuberculosis. He is also co-founder of Iodine, a health technology company based in San Francisco. His previous book, The Decision Tree, was chosen by the Wall Street Journal as a Best Health book of 2010, and widely hailed as offering a new vision for healthcare in the United States. Thomas also serves as the Enterpreneur in Residence for the Robert Wood Johnson Foundation, the nation’s leading force for better health and healthcare. He was previously the executive editor at WIRED, where he led the magazine to a dozen National Magazine Awards from 2001 through 2012. In 2010, under Goetz’s leadership, WIRED was chosen as AdWeek’s “Magazine of the Decade.” His writing there explored topics from the riddle of behavior change to the paradox of cancer screening, and was selected for the Best American Science Writing, Best American Science & Nature Writing, and Best Technology Writing anthologies. He has been a Curator-in-Residence for the Adobe Digital Museum, and a council member for NASA’s Launch challenge. In 2011, he served as executive producer for the award-winning Discovery Channel documentary Earth 2050: The Future of Energy. His TED talk on redesigning medical data has been viewed 400,000 times. now back down to three).